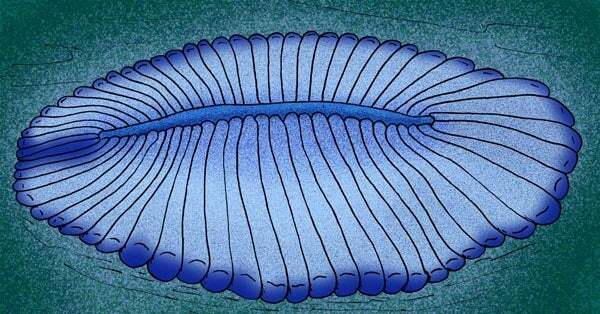 An international team of researchers is claiming to have discovered traces of cholesterol on a fossil of Dickinsonia — a mysterious creature that lived during the primordial Ediacaran Period. 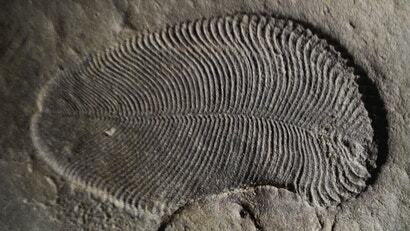 This evidence, the researchers say, makes Dickinsonia the oldest known animal in the fossil record. But the discovery is not without its critics, who say the new work is unconvincing. This is the question that scientists have been asking for decades about Dickinsonia. Measuring as much as 1.4m long and featuring rib-like segments that ran along its oval-shaped body, this enigmatic organism dates back to the Ediacaran (571 million to 541 million years ago), a period that immediately preceded the Cambrian — a time when animal life "exploded" in terms of diversity and number. New research published today in Science suggests Dickinsonia was a true animal, and not a fungus, plant, or protozoa (single-celled organisms) as previously suggested. The evidence used to support this claim is nothing short of extraordinary: cholesterol molecules found within a 558-million-year old Dickinsonia fossil from near the White Sea in northwest Russia. The researchers, led by Ilya Bobrovskiy from the Australian National University, believe the cholesterol, a type of fat, was produced by the individual when it was alive, and because cholesterol can only be produced by animals, Dickinsonia is thus deserving of the animal designation. "The fossil fat molecules that we've found prove that animals were large and abundant 558 million years ago, millions of years earlier than previously thought," Jochen Brocks, a co-author of the new study and an associate professor at ANU, said in a statement. "Scientists have been fighting for more than 75 years over what Dickinsonia and other bizarre fossils of the Edicaran Biota [the totality of all life within a particular geological period] were: giant single-celled amoeba, lichen, failed experiments of evolution or the earliest animals on Earth. The fossil fat now confirms Dickinsonia as the oldest known animal fossil, solving a decades-old mystery that has been the Holy Grail of palaeontology." Brocks declared the mystery "solved," but other experts aren't so sure, saying the evidence is both inconclusive and unconvincing. Animals, also known as metazoans, are one of three major kingdoms within the larger group of eukaryotes (complex, multicellular organisms), the other two being plants and fungi. Various characteristics are used by scientists to identify animals. The most important ones, aside from being eukaryotic, is that they're able to gain energy by gobbling up other organisms (i.e. they're heterotrophs); they're able to move spontaneously at some stage during their life cycle (i.e. they're motile); they reproduce sexually; and they don't have a rigid cell wall. The key to this finding was the discovery of lipid biomarkers within the Dickinsonia fossil. A biomarker is basically any substance that points to the presence of biological processes. Incredibly, after 558 million years, this fossil still contains traces of organic matter in the form of a lipid, namely cholesteroids, a "hallmark of animals," in the words of the researchers. Bobrovskiy and his colleagues identified hydrocarbon biomarkers (molecular fossils of lipids and other biological compounds) extracted from the Dickinsonia fossil using a technique known as gas chromatography — mass spectrometry. This allowed them to detect specific molecules within the fossil, and measure the abundance of these compounds. A "striking abundance" of cholesterol molecules — upwards of 93 per cent of the organic material extracted — was detected within the specimen. That's far more than the 11 per cent detected in the surrounding sediment. Importantly, the Dickinsonia fossil was bereft of ergosteriods — a biomarker indicative of fungal life. Other organisms, such as choanoflagellates and filastereans (simple, amoeba-like organisms), were unlikely to produce the biomarkers seen in the fossil, the researchers say. 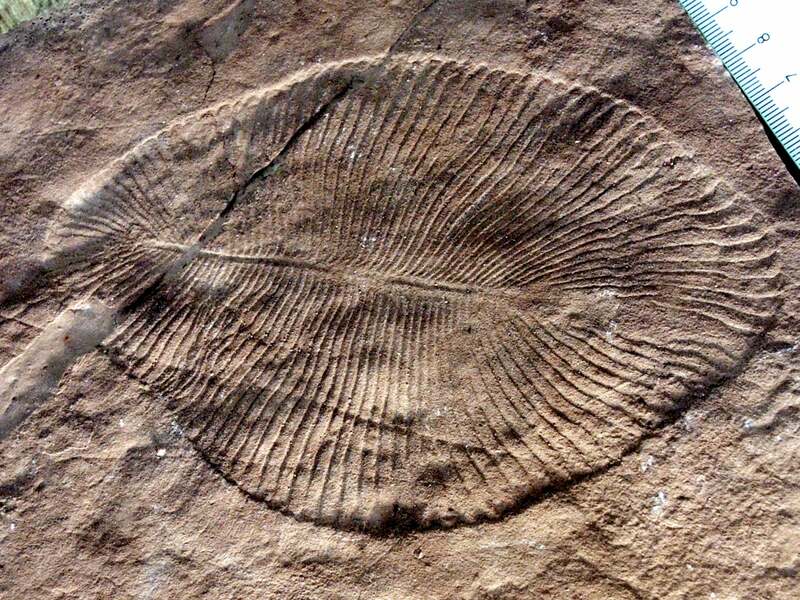 "Our results make these iconic members of the Ediacara biota the oldest confirmed macroscopic animals in the rock record, indicating that the appearance of the Ediacara biota was indeed a prelude to the Cambrian explosion of animal life," conclude the researchers in the study. Alex Liu, a palaeontologist at the University of Cambridge who wasn't involved in the new study, says the new paper is "remarkable" in that the scientists were able to recognise traces of original organic molecules in such an ancient fossil. 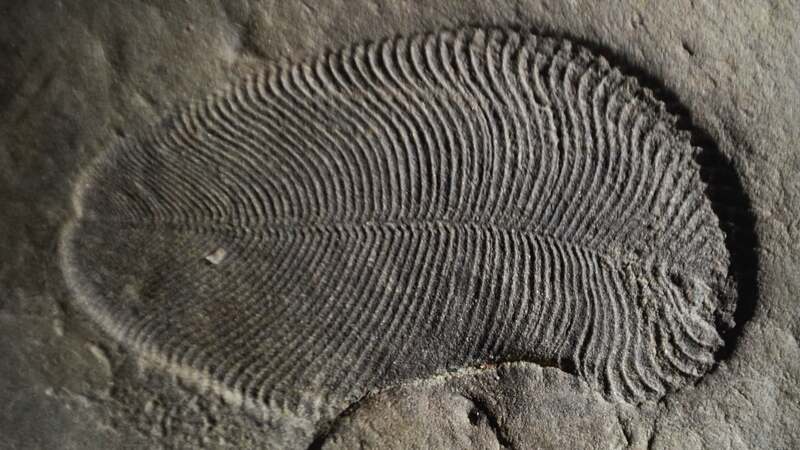 The significance of this finding, he says, is that the researchers were able to confirm that a member of the Ediacaran biota — a group of fossils that has long been difficult to identify — is highly likely to be an animal. That said, Liu believes Dickinsonia was probably not the first animal on Earth. "It is already a complex organism, and would have had ancestors of its own," Liu told Gizmodo. "There are also several other candidate animal fossils known in the Ediacaran record that are maybe tens of millions of years older, while molecular clock studies suggest the very first animals likely evolved as much as 100 million years before the appearance of Dickinsonia. The important thing here is being able to confirm that an Ediacaran fossil as an animal — this has been very difficult to do on the basis of morphology alone, but now we have trace fossils, developmental data, and biomarkers all pointing towards the same conclusion." Roger Summons, a professor of geobiology at MIT, says the new study is "robust," and it "demonstrates that it is possible to gather molecular information concerning ancient and enigmatic fossil tissues." This has been done on much younger materials, "but never, as far as I am aware on a fossil that predates the Cambrian explosion," he told Gizmodo. Jonathan B. Antcliffe, a senior researcher at Lausanne University in Switzerland, was less charitable when asked to comment on the new paper. "I find the study completely unconvincing," Antcliffe told Gizmodo. "There is a long history of very strong claims being made because of evidence from biomarkers that in the end do not really amount to very much." In particular, Antcliffe didn't like the way the researchers glossed over alternative hypotheses, dismissing, for example, the possibility that the fossil was contaminated, which "it could easily be," he said. What's more, he believes the new study only limits the fossil to a position within the eukaryotes. "There is no one arguing for the alternative position that Dickinsonia is bacterial," said Antcliffe. "No one thinks that Dickinsonia is bacterial. No one. So we already know it is a eukaryote of some type. There are very many different eukaryotes and the authors cherry pick a few examples and quickly reject them before moving immediately to an animal conclusion." He says Dickinsonia could very well be one of the first animals, but there's "very little evidence" to suggest that it is. His recommendation to the researchers is that they analyse the anatomy of fossils to further corroborate their claims. So, is it an animal? The debate, it would appear, continues.